When I posted traditional rice varieties of tamilnadu back in January 2017, I knew very little about these exclusive varieties. 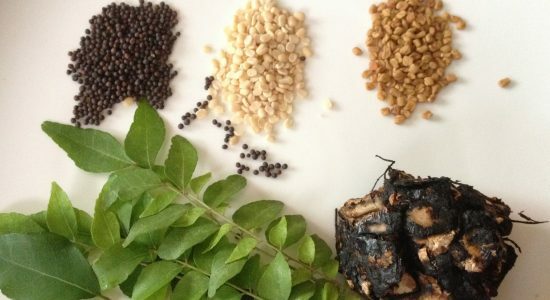 Used extensively in Chettinadu households and being part of their ceremonies, these rice varieties are less popular or even unknown in other parts of Tamilnadu. Apart from these, there are countless rice varieties that the ancient Tamils cultivated across centuries, those were high in nutrient value and unpolished. There is an urgent need for the revival of these species of rice, while we are moving forward as a junk food community in India as a whole. 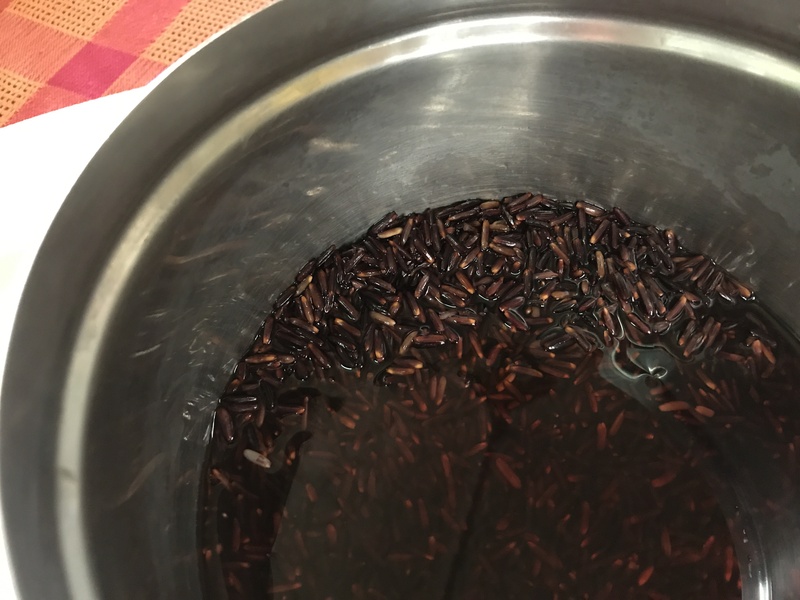 Now, moving on to black rice – I was introduced to black, red and brown rice almost four years ago in Cambodia. After almost 8 years of life style change to brown rice of southern India, finding longer grains of unpolished rice in southeast Asia was a blissful event in my life. Cambodian brown rice then became our staple lunch rice and Cambodian red rice was used in simple sweets (cooked rice with palm sugar and coconut). The local rice vendors sitting with gunny bags with their home made-hand milled red or brown rice was another nostalgic scene for me… What we used to see in the local markets of Tamilnadu. 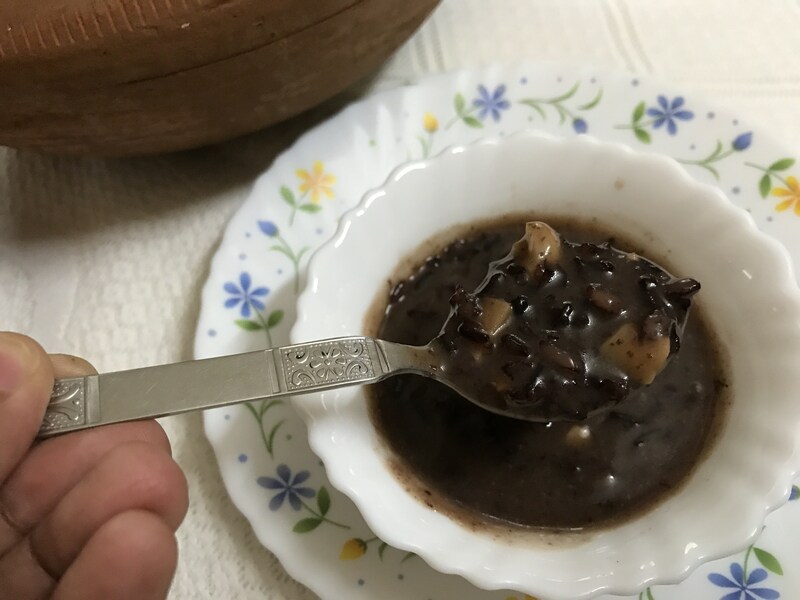 Everything takes its own time in life, and now the time has come for this beautiful travel of the black, red and brown rice in my dosais and sweets. It is an educative travel with loads of nutrition. Come along! 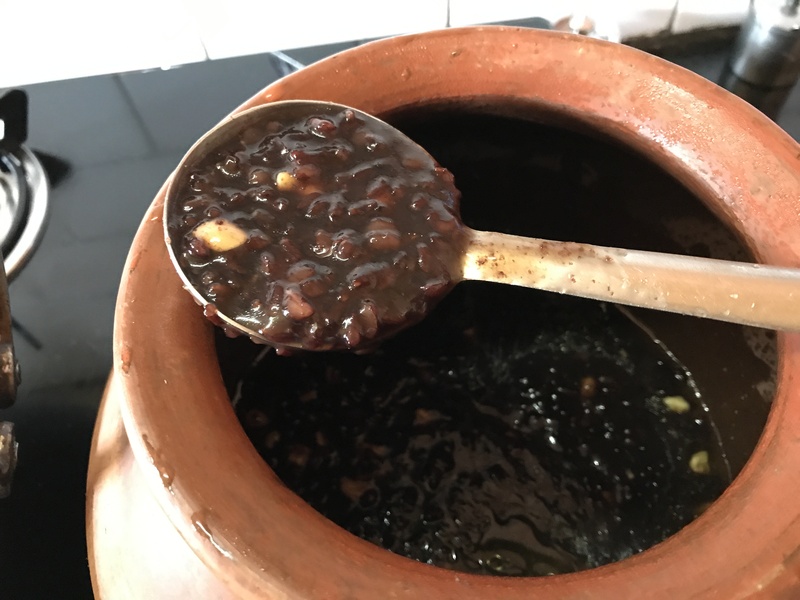 When I took out the Karuppu Kavuni Arisi or the Black Kavuni Rice sent by friend ‘T’ (refer: dosaikal post), I found a container with glutinous black rice preserved from Cambodia, which looked almost the same. 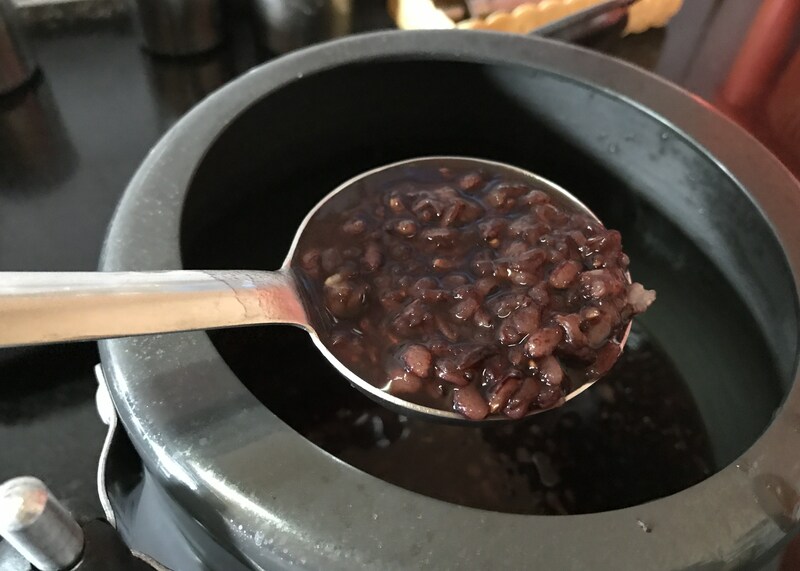 When I googled to learn more on the similarities of Karuppu kavuni and black rice of Southeast Asia, I knew they belonged to the same family. 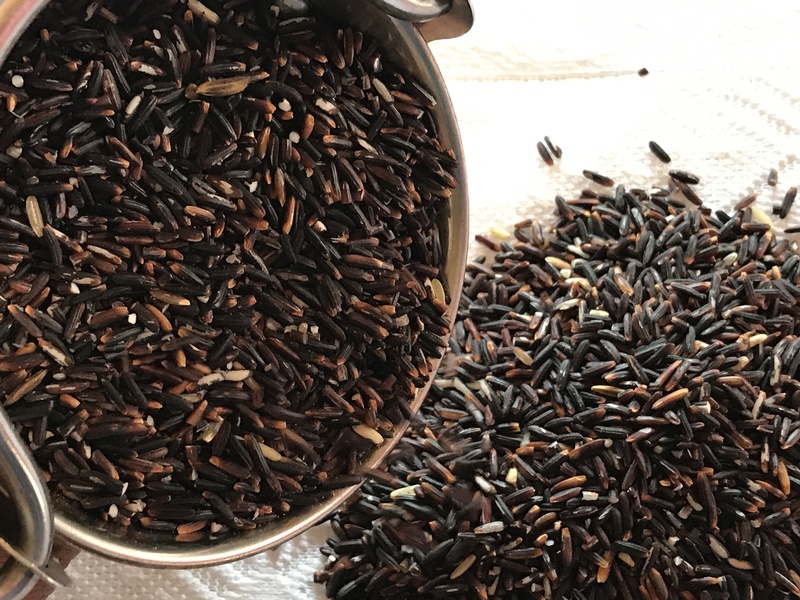 The genetic ancestors of karuppu kavuni might be the chinese/southeast asian black rice, which migrated to the southern regions of India through the Maritime Trade Communities, thousands of years ago. That is why it is still among the traditional varieties used in Chettiar Community of Tamilnadu, who are among the elite overseas Tamil Traders even today. Or… Could the travel have been the other way round. Research needed. That’s for another post though. In the below mentioned research article, the author mentions of Black, Red and White rice being mentioned Sangam Tamil Literature, which dates back to 3rd Century BCE to 3rd Century ACE. The root word of ‘Rice’ is also of Dravidian origin is a well known established fact. 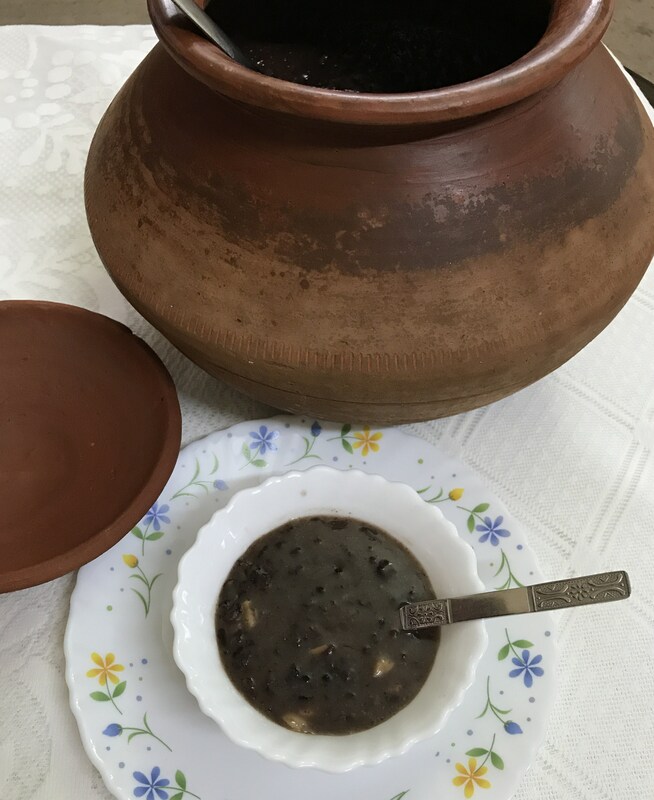 The origin of black rice (karu nel; kalikalu nel; kar nel; kayam pu nel; irul samaththanna erungaru nel; maiirul nel; karunavarkaniyanna nel; mattrundu arikila manjur eyahtu nel; kallanvulamkandanna nel; ) white rice (thuvel arisi; thuppaianna velnagai nel; velli vilangu nel; manthur nagai mani nel; ullurai ueranna velmulai arisi; paruthipoothanna pasum nel); Red rice (keliru kannan kudumsennel; kuruthivoonnna nel; ratha mani nel; rathinam pothithanna nel; murukkam poo nel; sivel nel) have been abundantly mentioned in the Tamil Sangam literature. While I decided to try out dosai/dosa with Karuppu kavuni arisi , my sweet teeth conquered in tempting me to make a payasam, Tirunelveli style with jaggery and coconut milk. My newly acquired clay pot made the recipe more exclusively traditional. 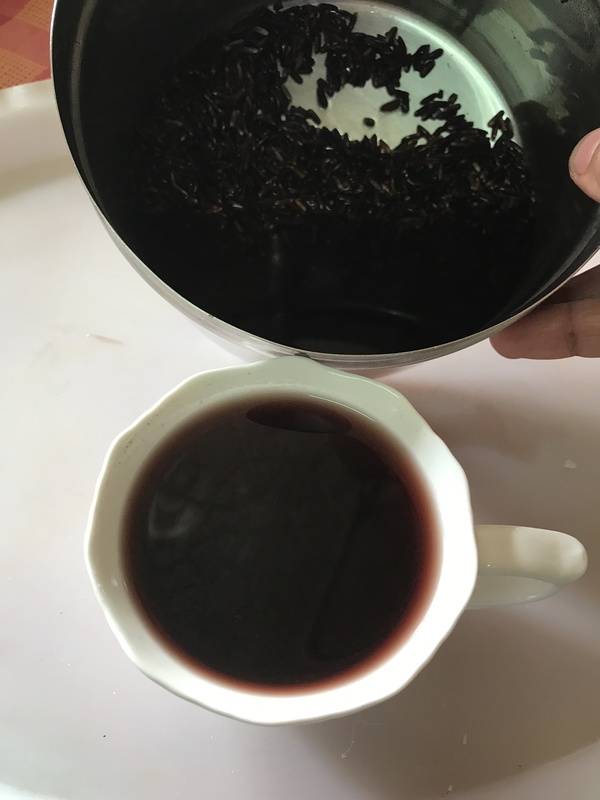 I am just a learner here, but there are mothers and grannies of chettinadu households who have provided enough recipes on the different brown, red and black rice varieties in the world wide web. I thank them all for making my quest more interesting with their authentic recipes transferred from generations. My dishes are only an adaption of their original recipes, with twists here and there. Now, to the Payasam or the Sweet Pudding. a. Wash well and soak black rice overnight to be cooked soft; I soaked the rice for about 4 hours for a nutty crunchy texture. 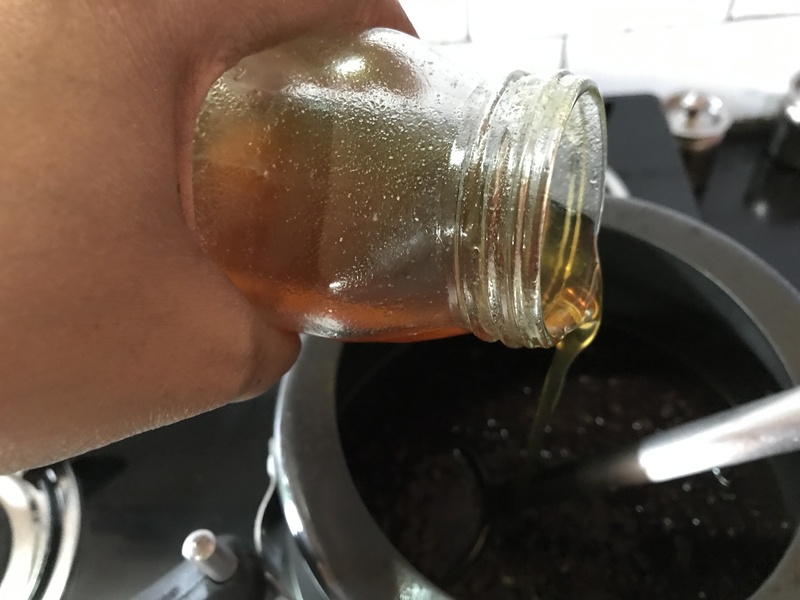 b. Dissolve jaggery in hot water to dissolve and strain for impurities. 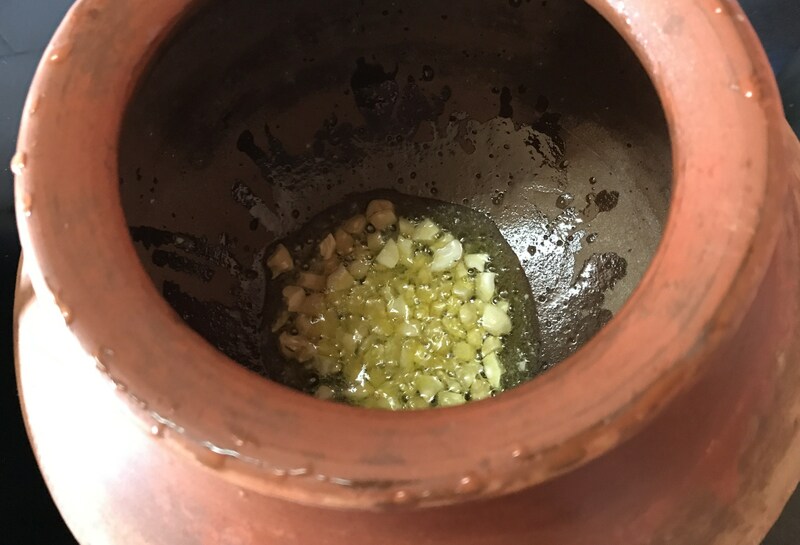 Boil the strained jaggery for while into a pourable consistency syrup. 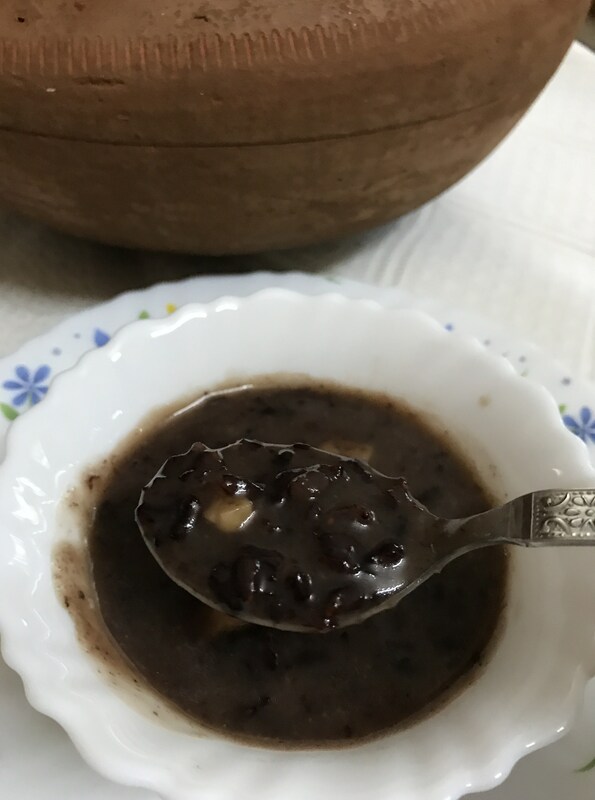 One can pour the strained jaggery directly to cooked rice and cook for a while till the pudding gets a bit thick, befoe adding coconut milk. I have the syrup ready in fridge that makes it easier to mix in sweets. 1. Use the soaked water and add more if needed to make it 4 cups to cook rice in pressure cooker. After the first whistle, simmer the stove and cook for 4 more whistles or approximately 20 minutes. 2. In a clay pot (any cooking pan), pour the clarified butter and fry cashewnuts till golden brown. 3. Not wasting any time, pour the cooked rice inside the pan. Otherwise the nuts would get burnt. 4. Add the jaggery syrup, cardamom powder and dry ginger powder, and bring to boil. 5. Pour in the coconut milk and bring to boil. Be cautious to keep the stove on medium flame. 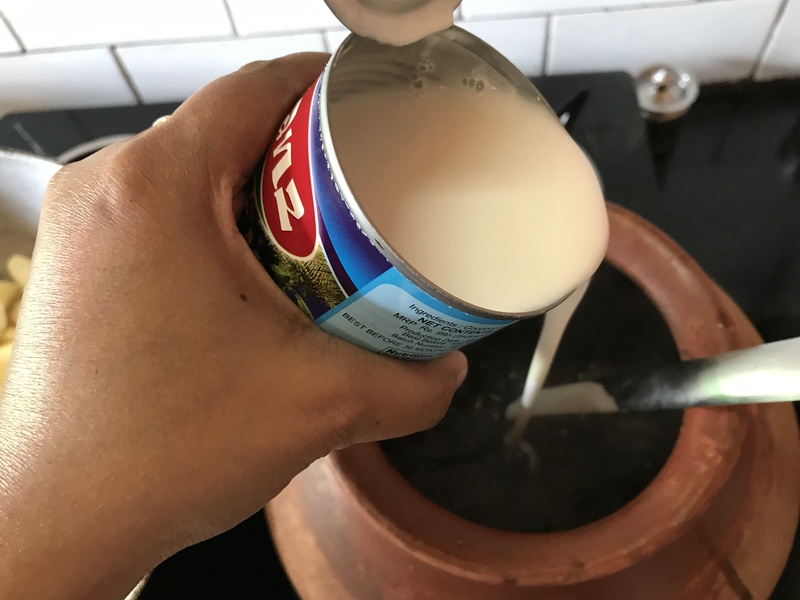 Coconut milk with jaggery in high flame for more time might split the milk. 6. As soon as the payasam comes to a boil, switch off stove. Payasam is ready to relish. Alter quantity of jaggery and coconut milk as preference. One might use palm sugar too, but no white sugar here please. Do no think of replacing coconut milk with cow’s milk..No way.